There are two subspecies of walrus. Both are the pacific walrus and the Atlantic walrus. 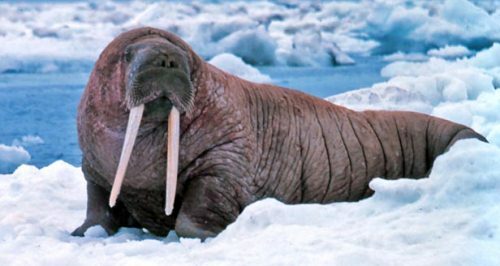 The main diet of walruses includes bottom dwelling animal, clams and mussels. They will eat the prey by locating them on the whiskers. When the food on the ocean is very limited, they will hunt of the carcasses of young seal. The body color of walruses is brown. To move on the land, they will turn the hind flipper forward. The male species of walruses can create the bell like sound because they have the special air sacs. Walruses have large front flippers. Each flipper comes in five digits. Another animal living around water is seen in Emperor penguin facts. 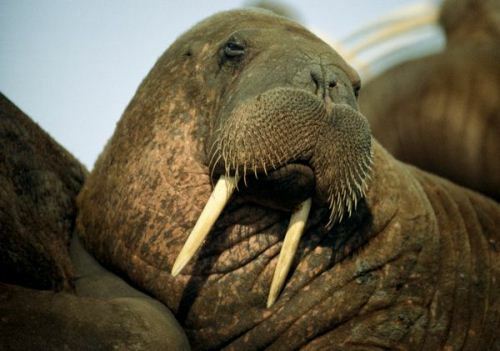 Tusk is main defense mechanism of both male and female walruses. The tusk is also functional to get out of the water and to cut the ice. The length of the female tusk is about 2.5 feet. The male tusk is measured at more than 3 feet. The mating season of walruses come between December and March. There are 25,000 walruses spreading around the world. The population of pacific walruses is around 20,000 individuals. The number actually is reduced from time to time because of the hunting. 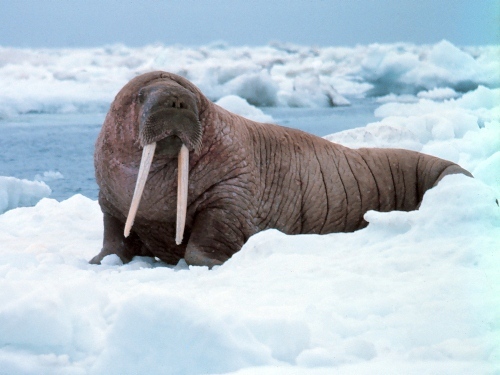 The pacific walruses can be seen living in some areas such as Chukchi, Bering and Laptev Sea. Find arctic fox facts here. The habitat of Atlantic walruses is on Greenland and coastal area of northeastern Canada. They usually are found in the circumpolar regions. 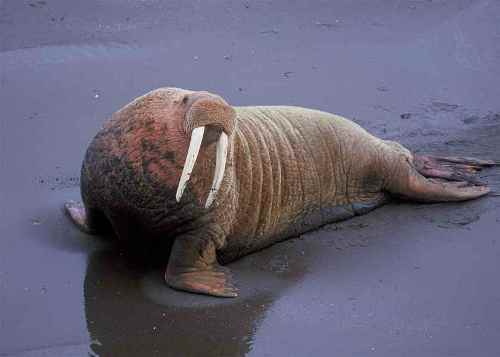 The female walruses have the gestation period for about 15 to 16 months. Walruses often deliver one calf. But they can also deliver twin even though it is a rare case. The calf was born in the color of brown to ashen grey. The weight of the body is about 99 to 165 lbs. The weight grows rapidly after it gets the milk from the mother walruses. In a week, the skin of the calf turns to reddish brown. The female walruses will go out of the ice when they want to deliver the baby. 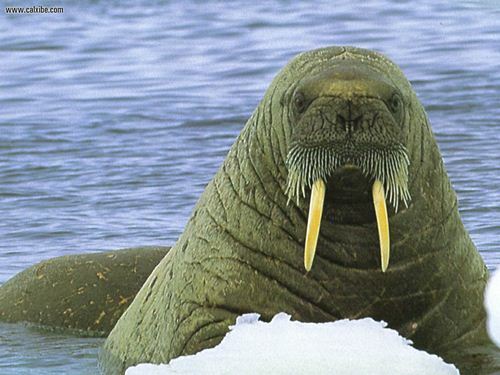 Walrus is another social animal in living on the ocean. During the non-breeding season, the female and male walruses will group in different herd. The most aggressive walruses can be seen based on the big size of body. The males will use tusk to show aggressive behavior and dominance. When the winter comes, they often migrate to southern area. In the summer season, they will go north. The time is mostly spent on the water. Are you fascinated with facts about walrus?